From apartment in winter with the MGB - train only 12 min. to Zermatt! The cozy apartment is part of a holiday complex in typical Valais style with radio / satellite TV, south-facing balcony, brine - indoor pool, sauna, gym (in house D - as our apartment) and 1 underground parking space and 1 tennis court. WLAN - Internet access in our apartment or in the lobby of the resort, (all free). The password is in our apartment, or at the reception of the resort. Solarium for a fee. The indoor pool and the sauna are closed from about 15. 10 - 15. 12.. Shops such as supermarket, restaurants, bistros or sports shop in the center of Täsch about 350 m. --- The apartment is a private apartment, which is also used by the owner itself .--- you get a top service: In winter / spring the Zermatt sports track stops right by the house. By train you can reach the Zermatt ski area quickly and well on the world-famous Gornergrat 3090 m asl. Zermatt is 100% snow sure! Timetable: 15. December 2018 - 26. April 2019 from Monte Rosa (apartment) 7. 56, 8. 32, 8. 56, 9. 32, 9. 56, 10. 32, 10. 56, am / return from Zermatt 16. 37, 17. 13, 18 . 13 o'clock. --- The train journey is included in the ski pass price! Also in the evening for après to Zermatt! --- From Täsch station (about 400 m walk) Shattle trains go every 20 minutes to Zermatt. Ski passes can be purchased at the reception in the Monte Rosa holiday complex. 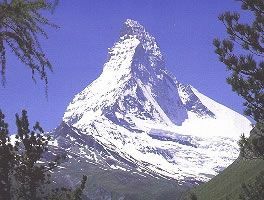 At the foot of 29 four-thousanders: Täsch and Zermatt offer probably the most impressive mountain landscape ever with the legendary Matterhorn and 9 of the 10 highest mountains in Europe. Visit the world's highest 'glacier palace' (3810 m above sea level) on the 'small' Matterhorn and Europe's highest observation deck (3885 m above sea level) with up to 300 km of distance and views of 29 four-thousanders, both have 365 Open days a year. Zermatt has the best ski resort in the world. Super modern lifts. Toll - groomed carving slopes, best freeride possibilities and the panorama of the almost 5000 he 'gives a holiday in Zermatt unique experiences. For the fourth time in a row, a German automobile club has chosen Zermatt as the best ski resort in the Alps in 2013. There are over 400 km of marked hiking trails in Täsch and Zermatt. 90% of the area is protected areas of national and international value. There are five valleys around Zermatt with over 70 routes, 15 mountain huts invite you to stop. Hikers, who are no longer able to walk, can also enjoy hiking trails near the villages. In the Zermatt region, seven species are classified as rare worldwide. Some of the rare species are limited to a small range of some valleys and are otherwise anywhere else in the world (endemic). Discover icy, mystical worlds in the highest glacier palace in the world. You can reach the Glacier Palace via two passenger lifts directly from the Matterhorn glacier paradise station. Then they walk through an ice tunnel directly into the palace which is located about 15 meters below the glacier surface. The brave can make their way back through a crevasse. Information about the formation of the glacier palace, glaciology and imposing sculptures carved out of ice provide an experience of a special kind. Wine Paradise Valais: Täsch in the Matter Valley is the ideal starting point to get to know the Valaisian wine specialties. Take a trip to the famous wine village of Salgesch or visit the highest vineyards in Europe in Visperterminen: Surrounded by the highest Swiss mountains, the wine grows to a height of 1. 150 m above sea level in Visperterminen. M., where the vineyard on Europe's sunniest slopes in short terraces with high dry stone walls overcomes more than 500 vertical meters in a confined space. The southern slope of the slope in the driest area of ​​Switzerland and the large stone surfaces of the walls make the 'Rieben' until late autumn to a warmth chamber. Apartment eignet sich super zum Skifahren in Zermatt. Vom Bahnhof vor der Tür sind es nur 15 Minuten bis zu den Liften. Apartment hat alles an benötigter Ausstattung. Aber die Einrichtung ist schon sehr in die Jahre gekommen. Internet niet meer van deze tijd. Moest steeds opnieuw inloggen na minuut of 15. geen vaatwasmachine in keuken kan eigenlijk niet meer .ook badkamer bad i.p.v. inloop douche is toch wel erg verouderd. Prachtig balkon en mooi uitzicht. Helaas restaurant om S avonds te eten od brood te bestellen even zeer verdwenen. In slaapkamers stonden ook nog de bedden van 40 jaar geleden, wel erg laag , geen auping oid. Zou ook nu beter moeten. De keuken is uitgerust met een elektrisch fornuis, ein koelkast, een koffieze apparaat en een water koker, en alle benodigde gerechten voor meer dan 4 personen. De bad kamer heeft een ligbad met douchefaciliteit. Dousches kunnen ook 2 verdiepingen lager zijn in het binnenzwernbad. De slaapkamer is gloednieuw ongeveer 3 -4 jaar oud,en de bedden zijn gemaakt van massief beuken hout en de fronten van de kasten. Angebotene Leistungen wie Schwimmbad, Sauna und Fitness-Raum waren geschlossen. Bauarbeiten,wie Abbrucharbeiten Schlagbohrmaschine, bis nach 20 Uhr abends. Der Vermieter wird in Zukunft von Mitte Oktober bis Mitte Dezember keine Buchungen mehr zulassen wegen Schließung von Hallenbad und Rezeption. In der Preisliste hatte der Vermieter angegeben: Hallenbad geschlossen. Täsch (1450 m above sea level) is 5 km from Zermatt and is a romantic Valais village with sun-tanned houses and barns. The holiday complex 'Monte Rosa' can be reached about 200 m behind the entrance of Täsch. An underground parking space is available for you. Täsch and Zermatt are surrounded by 28 four-thousander peaks and the world-famous Matterhorn. Mountain railways take you to the highest mountain range in Europe (the most beautiful hiking - ski area in the Alps!) Our travel tip: By train the ICE Europe - Special - Switzerland - Tickets already bookable 6 months before departure. (For early booking very reasonably priced. Own children and grandchildren under the age of 15 travel free of charge. ) - Train passengers are picked up at the train station on request. Walk to the resort 'Monte Rosa' about 400 m.
Other Activities: snowboarding, cross-country skiing, tobogganing, --- hiking, mountaineering guided glacier hikes, (the mountain guide office offers reasonably priced golf courses). Group day tours on). Snowshoeing (Zermatt offers four unique, marked snowshoe routes). 20 wonderful winter hiking trails from easy to medium and approx. 65 km total length. Baden: In the summer in the nearby bathing lake. Golf: The golf course Zermatt of the Golf Club Matterhorn is located in the valley at 1400 m above sea level. between the two villages Randa and Täsch in the immediate vicinity of our apartment. The golf course is laid out in two different chambers on both sides of the river Vispa. The place is practically flat and therefore easy to commit. The existing wetland was rebuilt into a lake, which forms a unique Inselgreen. Ski: Täsch / Zermatt 1450-3899 m asl The three ski areas of Zermatt and Cervinia are unique in the world. 74 trains (without waiting times) open 350 km of ski runs. The largest summer ski area in the Alps is accessible 365 days a year on Klein Matterhorn (3885 m above sea level). From the apartment you can reach in just 45 minutes. Travel time on the world-famous Gornergrat 3090 m above sea level. with a fantastic view of the Matterhorn in the heart of the Zermatt ski area. 15 km of cross-country ski trails are located directly at the house. There is a 3.5 km prepared toboggan run as well as an ice rink and a children's ski lift in Täsch. For good skiers: heliskiing with the Air Zermatt, accompanied by knowledgeable mountain guides. The royal tour starts at Monte Rosa at an altitude of 4,200 meters above sea level. Skiers a gigantic experience. New Matterhorn ski safari unique in the Alps: Signposted day tour, during which you can climb between 10 000 and 12 500 vertical meters on a day of skiing without double use of a cable car. Through larch and pine forests, a magnificent mountain scenery always in mind: on six routes with a total of 100 km of different requirements with an average of 1'000 altitude difference. On Sunnegga there is a downhill, as well as 4 cross-route.